According to a press release recently posted by the University of Washington, a new type of vaccine may soon be created that will allow for its immediate creation and application. This new vaccine, however, will be formed by using nanoparticles created from genetically engineered proteins. The researchers, who have already tested the vaccine in mice, are hopeful that the vaccines will soon make “on-demand” vaccines that can be administered within minutes for a low price a common reality in the medical community. The vaccine would mostly be aimed at "developing countries" and would cut the costs of vaccination programs "by not having to rely on refrigeration, and vaccines could be produced with rudimentary equipment in more precise, targeted numbers. The vaccines could be manufactured and delivered using a disposable patch, like a bandage, which could one day lessen the use of trained personnel and hypodermic needles." In typical vaccines, weakened pathogens or proteins found on the surface of microbes and viruses are injected into the body along with compounds called adjuvants to prepare a person’s immune system to fight a particular disease. But standard formulations don’t always work, and the field is seeking ways to manufacture vaccines quicker, cheaper and tailored to specific infectious agents, Baneyx said. The UW team injected mice with nanoparticles synthesized using an engineered protein that both mimics the effect of an infection and binds to calcium phosphate, the inorganic compound found in teeth and bones. After eight months, mice that contracted the disease made threefold the number of protective “killer” T-cells – a sign of a long-lasting immune response – compared with mice that had received the protein but no calcium phosphate nanoparticles. The nanoparticles appear to work by ferrying the protein to the lymph nodes where they have a higher chance of meeting dendritic cells, a type of immune cell that is scarce in the skin and muscles, but plays a key role in activating strong immune responses. In a real-life scenario, genetically engineered proteins based on those displayed at the surface of pathogens would be freeze-dried or dehydrated and mixed with water, calcium and phosphate to make the nanoparticles. This should work with many different diseases and be especially useful for viral infections that are hard to vaccinate against, Baneyx said. Baneyx did point out, however, that the ability of this vaccine to achieve its goal of the researchers and those who funded the experiment has only been allegedly established in mice, not in humans. As one may suspect, the development of these new nano-vaccines are funded by the Bill and Melinda Gates Foundation by virtue of the organization's Grand Challenges Explorations grant as well as money from the National Institutes of Health. The very fact that this research was funded by Bill Gates is enough to raise the eyebrows of many. After all, it was Bill Gates that once tellingly stated "The world today has 6.8 billion people... that's headed up to about 9 billion. 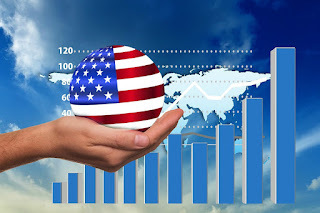 Now if we do a really great job on new vaccines, health care, reproductive health services, we could lower that by perhaps 10 or 15 percent." 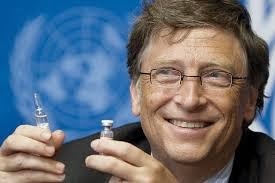 Adding to Gates’ statement is the fact that, time and again, international vaccination programs have ended disastrously for third-world nations. Case in point: the Meningitis vaccine program that resulted in the paralysis of at least 50 African children and a subsequent cover-up operation by the government of Chad. This large number of adverse events occurred in one small village alone, leaving many to wonder what the rates of side effects might be on an international scale. Gates’ polio vaccines have likewise been blamed for deaths and disabilities in neighboring Pakistan, with offices of the government in that country even recommending that the vaccines be suspended. Indeed, as the doctors assert, one cannot vaccinate away diseases like polio. Apart from the fact that there has never been a study conducted which proves a vaccine either safe or effective that was not connected to a drug company or a vaccine maker, the so-called cure, if it comes under the guise of a vaccine, may well be as bad if not worse than the disease itself. In the end, the answer is about raising living standards, reducing pollution, increasing knowledge and access to proper nutrition and clean drinking water – not chemical and virus-laden needles. Even more so, not vaccines involving nano-particles and even more genetically engineered ingredients.